The Climb is a true, gripping, and thought-provoking account of the worst disaster in the history of Mt. 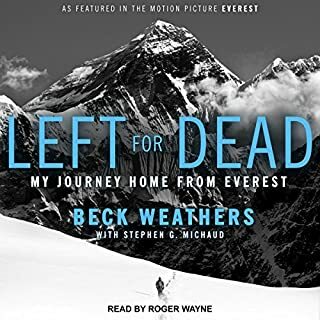 Everest: On May 10, 1996, two commercial expeditions headed by experienced leaders attempted to climb the highest mountain in the world, but things went terribly wrong. Crowded conditions on the mountain, miscommunications, unexplainable delays, poor leadership, bad decisions, and a blinding storm conspired to kill. Twenty-three men and women, disoriented and out of oxygen, struggled to find their way down the southern side of the mountain. In the dark, battered by snow driven by hurricane-force winds, some of the climbers became hopelessly lost and resigned themselves to death. Anatoli Boukreev, the head climbing guide for the West Seattle-based Mountain Madness expedition, refused to give up hope. 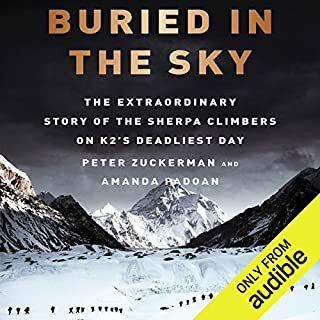 Solo, climbing blind in the maw of a storm that continually threatened his life, Boukreev brought climbers back from the edge of certain death. 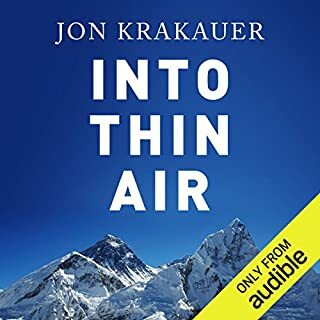 Following the 1996 Everest story,reading the book from John Krakauer "Into thin air" this book "The Climb" is must to read as follow up to complete the story with Anatoli witness of situation at Everest that year.With hearing the story from other side as well ,then just from John Krakauer ,who was client at other expedition, from person who was one of the main character of the Scott Fisher expedition ,from Anatoli Boukreev.This book is certainly must to read ,for anyone who is interested to know more details and information about 1996 Everest disaster . In my opinion ,following the story,Anatoli was very strong man ,physically or mentally.He was hero,who was willing to risk his life and did everything he could ,to help those other stranded climbers ,from his and other team as well ,at that big high mountain that day. Hope he rest in peace ! This book does a great job presenting the facts, but it's more of detailed listing of actions rather then an description of the experience. It depends on what you're looking for. If you want the black and white facts this book is for you. If you're looking for an adventure novel you'll be disappointed. I have read both "The Climb" and "Into Thin Air". To really appreciate the disaster and heroics of 1996 on Mt. Everest you must read both books. So Interesting, I listened twice. I am; I admit; one of those armchair climbers. With neither the ability nor the means to ever climb anything more than a hill, I have been long fascinated by climbers, what motivates them? What leads to success? Why do they do it? After reading many books on Everest, I had been lead to wondering even "should we?" I had read Into Thin Air more than once, and wanted another view of the story. 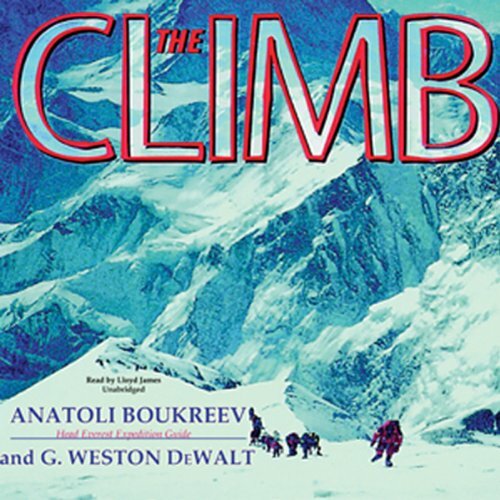 Anatoli Boukreev, deeply respected climber takes us there in this fascintaing other view of the fateful climb of 1996. This book is a must read if you've read Into Thin Air. This is a wonderfully written, wonderfully read account. I was so intrigued that I listened twice, to better understand the quietly stated things. Boukreev rarely points fingers, but he does defend the actions of some, including himself, who have been criticised. He does it by explaining conditions, "mountain thinking" and sometimes by shining a light into dark corners. I concluded by thinking what a wonderful man Anatoli Boukreev must have been. And he even brought me around to an understanding of the oxygen /no oxygen debate. The narration was great. Narrated well (a couple of slight mistakes ...but I blame the editing for those, they were mis speaks ) . The narrator gets out of the way, and allows the story to open up. One of the best buys in a long while. If you REALLY want to know what happend, read this book! I've read Krakouer's book and after his I read this one on the same subject. I thought I had got it rather ok firstly but some stuff didn't sound logical to me. It did'nt add up. After reading this book I actually got it. Things made more sense. Boukareev, a true hero, shares his own words on what happend during the disaster 1996 and also describes what a sorry circus climbing mount Everest now has become. This brave man should be heared. I wish there were more genuine climbers out there with both the right intentions and true a heart, like Boukareev. May he now rest in peace! 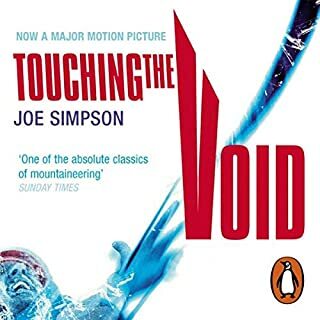 great counterpoint to into thin air. I recommend reading this book along with the book Into Thin Air. They are both good reads. 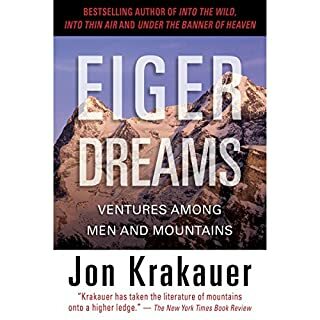 John Krakhauers book is perhaps better written, or at least better edited. But you only appreciate how much each book reflects the biases and viewpoints of the author when you read the two different accounts of the same tragic events. After reading into thin air you think you know what happened. you think you have made some sense. And then you read the climb and things aren't so black and white. Well written stort of strong ang humble man. Loved it! Finished it in a day. 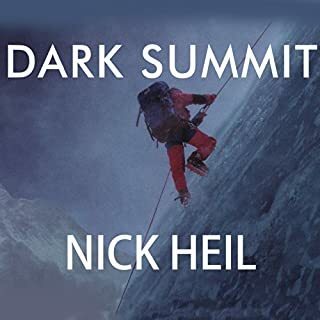 Breathtaking adventure story of an outstanding montclimber. Sadly Into thin air is way more popular. The only thing I didn't like about the narration was that the person would say the person's name before quoting them. This was done quite often. Although it makes it obviously clear who is being quoted, it was done way too much in the book. I found myself saying Anatoli throughout the book and it would get stuck in my head like a bad song throughout the day. This book is very, very good. I would recommend this to anyone who enjoys the adventure survival type books. I would've given this book five stars if the narration style was changed. I will listen to it again, regardless. What made the experience of listening to The Climb the most enjoyable?